The lining of the house inside the clapboard looks extraordinarily beautiful. If the lining is wooden, then wood flavor is added to the exterior beauty. But the rather thin structure of the elements of the lining makes high demands on the arrangement of the base for installation. Scheme of wall cladding and ceiling clapboard. 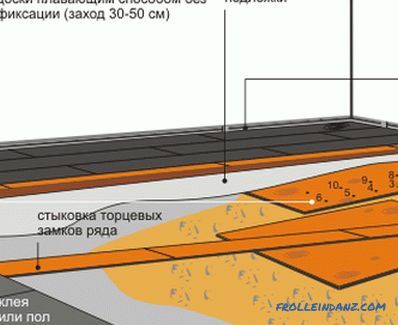 The main requirement is an even and solid foundation. 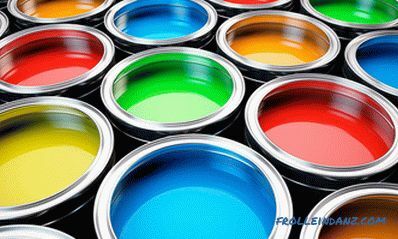 Due to the fact that smooth walls and ceilings are a rarity, the best base for lining is considered to be a solid crate. Upholstery inside the house clapboard is used on all major surfaces: on the floor, ceiling and walls. The clapboard is sheathed with doorposts, window slopes and partitions. When buying lining are guided by its quality and cost. If you have great financial opportunities, then you should choose the extra class Euro lining. 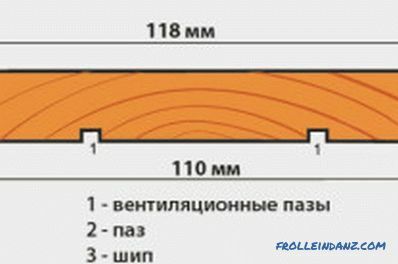 Lining differs from the Russian higher requirements for the quality of wood and dimensional compliance. But this does not mean that it is made only in Europe. 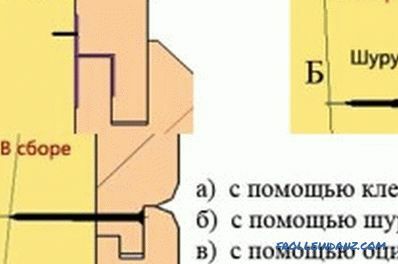 In Russia, there are many companies that produce eurolining according to the proper requirements. Laying of the lining device. House cladding clapboard will require a high standard. In addition to "Extras", there are classes "A", "B" and "C" for clapboard. They are distinguished by external shortcomings: the presence of knots, resin pockets and other deviations. For example, in class "C" even dropping knots are allowed. The final choice is determined by the fork between financial capacity and quality. Equality will be the main criterion. If the board is driven by a “screw”, then the internal stresses arising from the installation with an overload will lead to destruction over time. Additional requirements depend on the purpose of the house premises. If clapboard trim is made in a bath, then pine is not allowed. When heated, resin will be released. In the interior decoration of the house are usually used pine and spruce. A deciduous variety, such as alder, is best for finishing. The new material has become a thermally modified tree. For its production is carried out a rigorous selection, and this makes it possible to create sturdy interiors. The technological process for the production of this wood includes a thermal vacuum chamber. High temperature and special additives create chemical processes that give the lining irreversible unique properties. This is a great moisture resistance, the absence of rotting and exposure to pests, increased strength. The surface is given the necessary color. Layout of installation of wall paneling on the walls and ceiling. thermal insulation material (if necessary). First, measure all surfaces, windows and doors and draw a sketch. It will serve as a work plan and basis for the calculation of purchased materials. To ensure the evenness of the wall external examination set the maximum deviation from the plane. 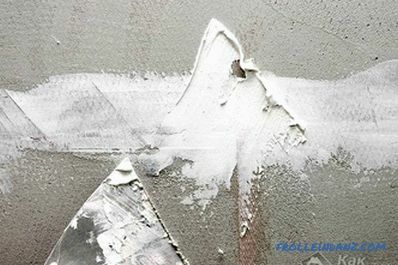 If there are large cavities, then they putty or plaster. Large bulges are removed. Along the edge of the planes to be laid, solid long bars are laid with a square section of up to 5 cm. The same bars are made when edging window and door openings. 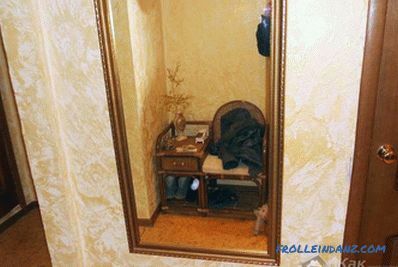 All items are set strictly by level. If warming is provided, then the section of bars increases by the thickness of the insulation. Between the bars, the construction cord is stretched, and the intermediate bars of the batten are laid over it. The distance between the elements of the batten is 50 cm on average. If there is insulation in place, there should be no gap between it and the bars. 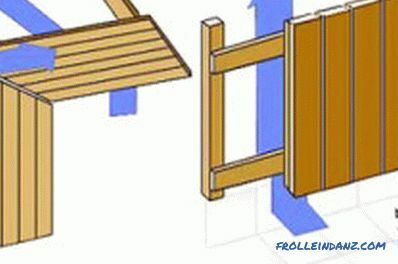 The main requirement is that the boards of the wall panel do not bend in this gap. A metal profile is also applied to the batten. For mounting on the ceiling used U-shaped profile. The crate can also be made of plastic, but this material is rarely used in special places. If the work is carried out in the winter, the house should be turned on heating. Checking the position of the elements of the batten is constantly performed. For elements in the middle of the wall, you can take short bars, saving wood. There should always be a gap for thermal expansion from the end of the bar. 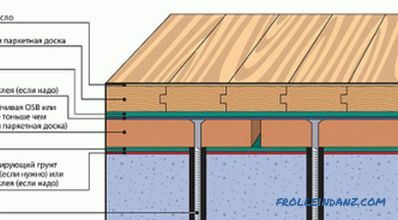 The arrangement of the batten can be vertical, horizontal, or using a cellular structure (in the case of laying insulation).The horizontal position visually reduces the height of the room, the vertical increases. Lining before installation should lie in the room for at least 24 hours for acclimatization. When laying boards horizontally, the wall paneling is put with a spike down to avoid moisture accumulation. Stretching the wall paneling with nails, they are hammered at an angle, using a small baton in the form of a beard without sharp sharpening. A suitable method for fixing the wall paneling is using clamps. 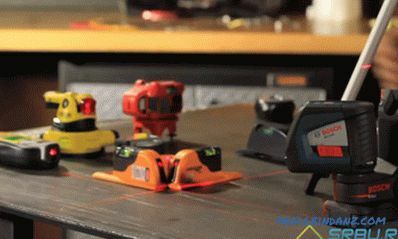 With this mounting board is easy to dismantle for reuse. When mounting, it is necessary to maintain a gap of 1-3 mm between the boards to compensate for temperature effects. From the wall, floor and ceiling is indented in 5 mm. When shifting the lining boards, a piece of the board is used to soften the blows of the hammer. Coating of corners, window openings and interfaces between the floor and the wall is done with special profiles. How to put parquet correctly? How to lay parquet: instructions for proper installation of parquet with your own hands. The main methods of laying parquet. Parquet laying technology: foundation preparation, installation, grinding and varnishing. 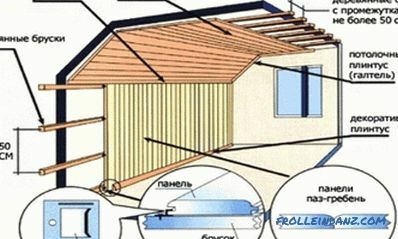 Step by step Instruction for beginners about how to build a wooden house. 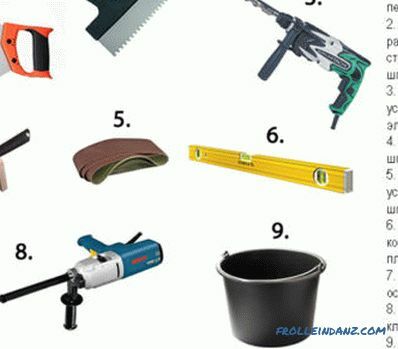 A detailed description of all phases of work with a list of necessary materials and tools.